Over the past year, we have named new members to our StopAfib.org Global Medical Advisory Board. Below is the announcement of those who have been named since Atrial Fibrillation Awareness Month of last year. Here is a complete list of our Global Medical Advisory Board members. DALLAS, September 30, 2014 – September is Atrial Fibrillation Awareness Month, and as the most prominent atrial fibrillation patient organization, StopAfib.org has added some prestigious healthcare professionals to its Global Medical Advisory Board. Atrial fibrillation, also known as afib, is the most common irregular heartbeat and can lead to dementia, heart failure, stroke, or even death. Many do not realize that they have it, and many who have it don’t realize how serious it is. Of those who have afib, one in three will have a stroke within their lifetime. September 2014 is the eighth annual Atrial Fibrillation Awareness Month. Raising afib awareness is intensely personal for StopAfib.org founder, Mellanie True Hills, an afib survivor, and led her to create the first Atrial Fibrillation Awareness Month in 2007 (http://www.stopafib.org/newsitem.cfm/NEWSID/424). Working with other organizations, her passion powered a movement that led to the U.S. Senate officially designating September as National Atrial Fibrillation Awareness Month. The StopAfib.org Global Medical Advisory Board is made up of some of the world’s foremost electrophysiologists, surgeons, cardiologists, neurologists, epidemiologists, and researchers who are on the forefront of atrial fibrillation research and treatment. The Global Medical Advisory Board acts as a sounding board to help StopAfib.org appropriately address afib-related issues including diagnosis, treatment, and doctor-patient interactions. As the most common irregular heartbeat, atrial fibrillation, also known as afib, affects more than 5 million Americans. One-third of those who have the condition may not have symptoms. By 2030, as many as 17 million Americans may have it. About 350,000 hospitalizations a year in the U.S. are attributed to afib. In addition, people over the age of 40 have a one in four risk of developing afib in their lifetime. Having afib increases your stroke risk by 500 percent and can lead to heart failure and dementia. Afib-related strokes are twice as deadly as other strokes, and three times as deadly in the first 30 days. Diagnosing and treating afib can prevent many unnecessary strokes. To learn more about how to protect yourself from afib, or how to treat it if you have it, visit the online Get Started Learning About Afib Guide. The mission of StopAfib.org is to improve the quality of life for patients and their families, support the doctor-patient relationship, and wipe out afib-related strokes worldwide. It provides information about atrial fibrillation symptoms, causes, risks, treatments, resources, and the latest afib news and videos, including four hours of video presentations from the 2013 National AF Patient Conference. Now the No. 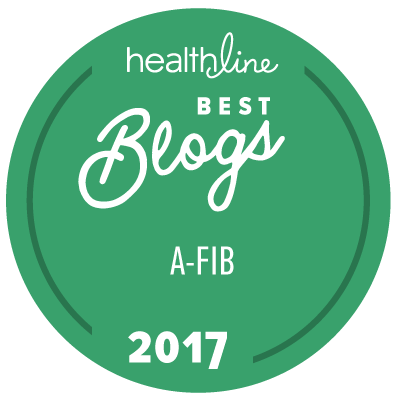 1 Arrhythmia site on the Internet and in the Top 5 Heart Disease sites worldwide, StopAfib.org has received the HON Code Certification from the Health on the Net Foundation, signifying a credible, trustworthy medical web site. StopAfib.org CEO and founder, Mellanie True Hills, is also the author of A Woman’s Guide to Saving Her Own Life and has been featured in the NY Times, Washington Post, USA Weekend, AOL.com, and in Heart-Healthy Living, More, and Success magazines.